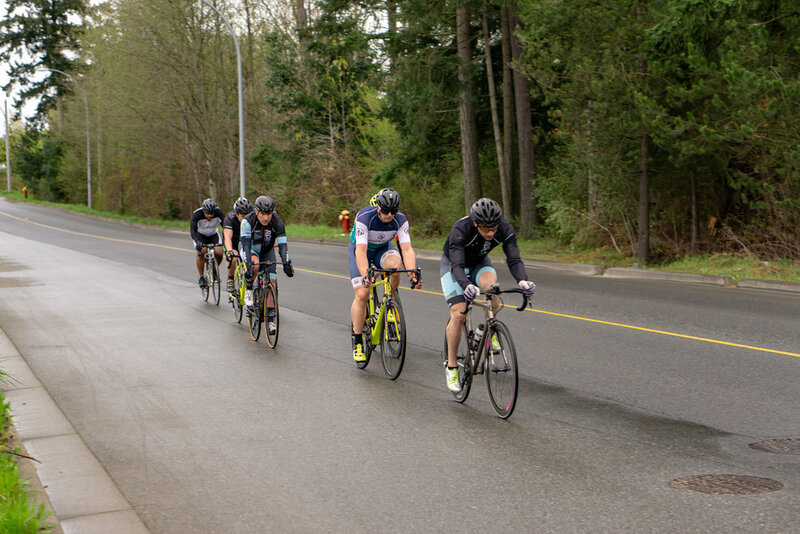 Seven riders braved the weather and made the drive up to Nanaimo River road last night. 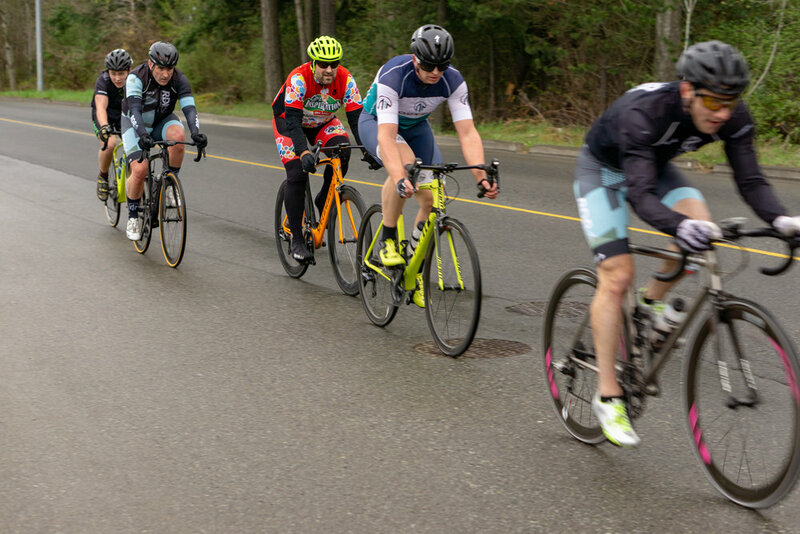 Including Eric Rush who gambled on the weather and made the drive down from Courtenay to join in the suffering. 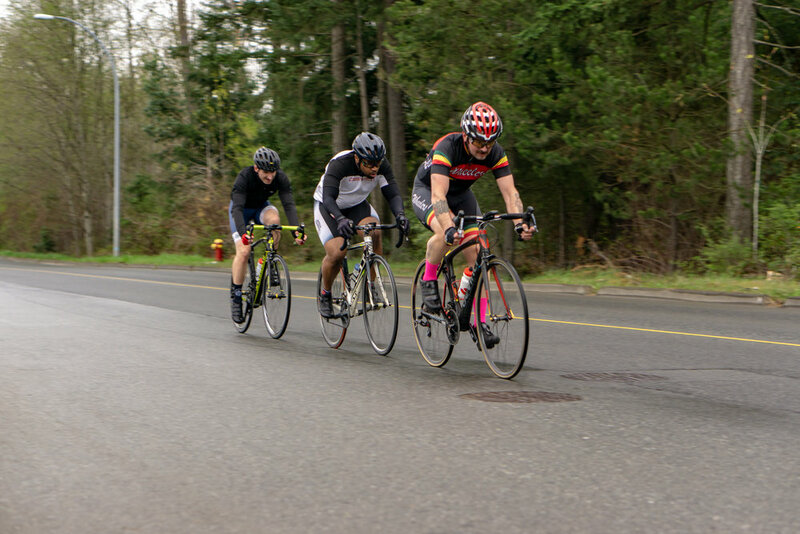 There was trepidation from most riders as a heavy fog was sitting on the top of Nanaimo Lakes Road making visibility a concern. But as usual the unique weather patterns around Mount Benson made for a clear course. James Sage set down a fast time to start the season finishing in 21:25.577 holding an average speed of just over 40km/hr, beating Eric by 16 seconds. In third place, in his first time trial on our challenging course was 15 year old Luke Hubner with an impressive time of 23:29.412. 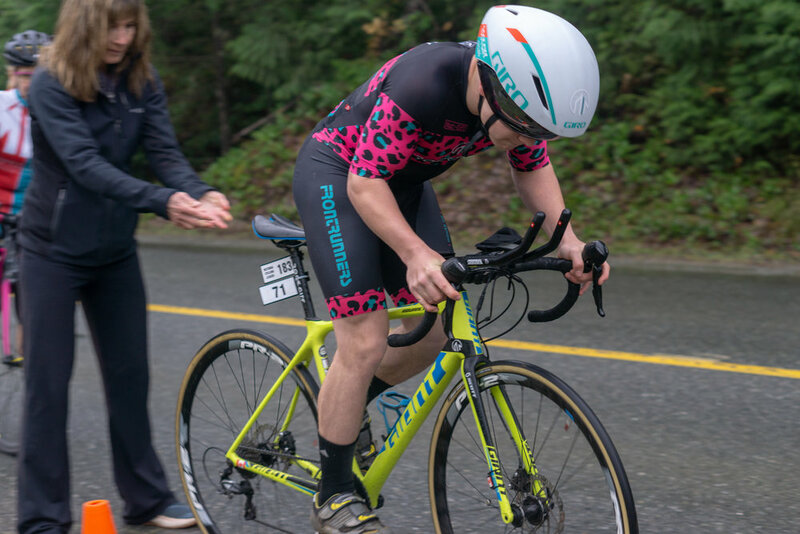 It should also be noted that tonight was the last night for our other youth rider, Jack Mace, to receive a one minute interval lead instead of the standard 30 second gap; as not only was his mother unable to close the gap to supervise his race, but he also beat her time by 15 seconds. Thank you to the volunteers, Lorrie and Steve for helping out with the start and turn around. I hope to see everyone at the House of Kiyo Monday night development ride. 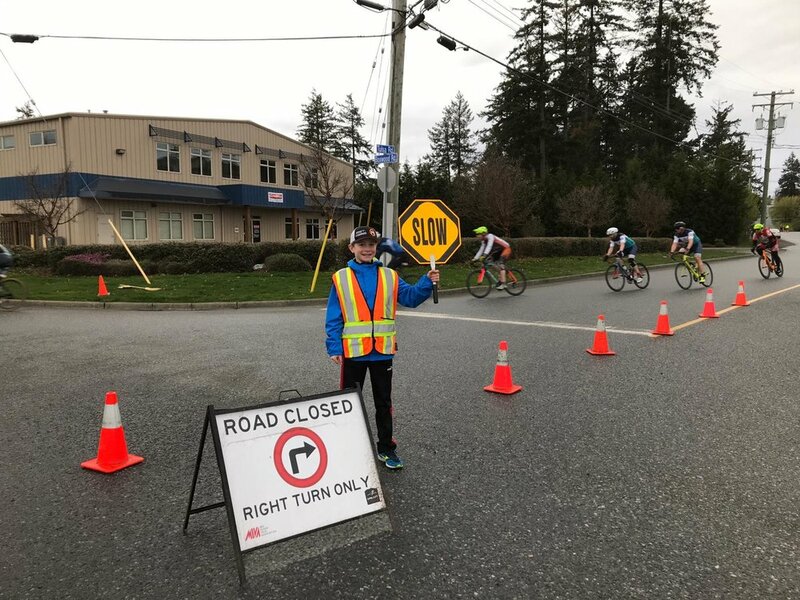 This Sunday, the Sydney Velo Cycling Club is organising a British Columbia Masters Cycling Association/Victoria Cycling League race down in Mill Bay. 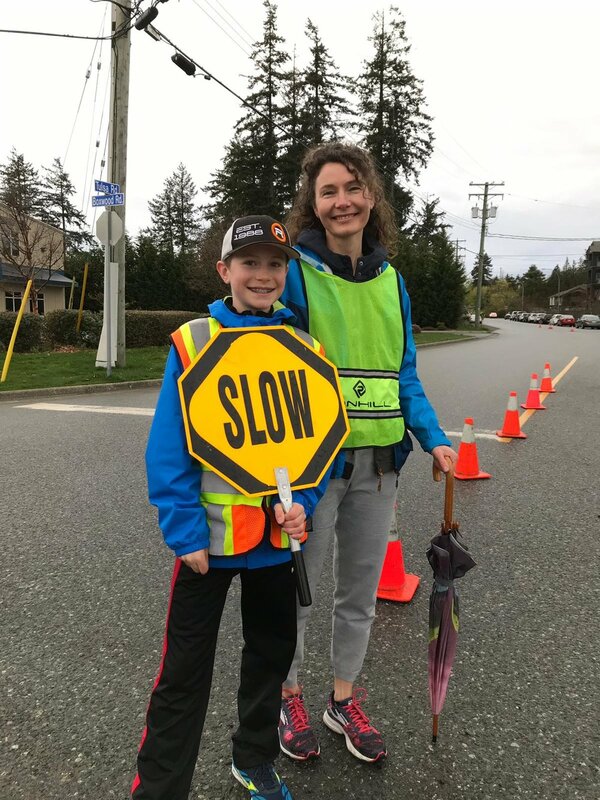 It’s on a beautiful course out in the Mill Bay/Shawnigan Lake/Cobble Hill area. There are A, B and C categories to suit your ability, and juniors are welcome too. Sign-on starts at 11am with racing at noon, so there’s plenty of time to drive down from Nanaimo. 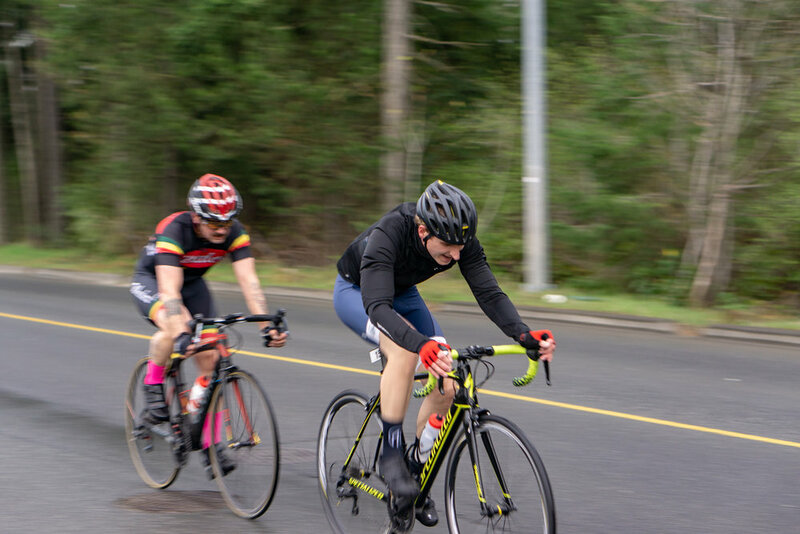 I rode my first road race last year and came last in my age group; it was a super-fun experience and I recommend giving it a go. There are prizes for first to third positions, so you might even win something! 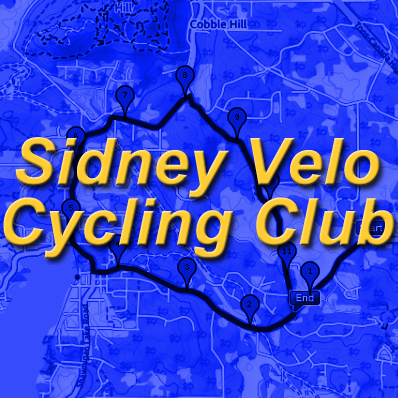 For full details follow this link to the Sidney Velo Cycling Club website. 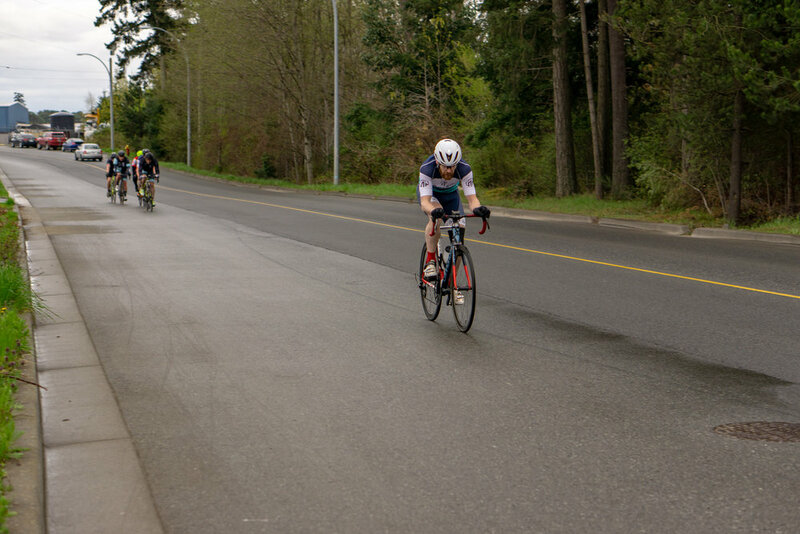 It was the first criterium of the year tonight and despite the damp conditions everyone stayed rubber side down! Racing started after 5 neutralised laps and on lap 8 James Sage attacked stringing the pack out. On lap 12 it was Jaymi Dumper’s turn to go off the front. In the end the race came down to a sprint with James Sage winning by a bike length from Iain Hay and 15 year old Luke Hubner. Many thanks go to tonight’s volunteers for keeping everything running smoothly and making sure the course is safe for the riders. Big thanks also to Patrick Burnham for quietly and professionally running the show, as always.